Not for many DC fans, but definitely for me! 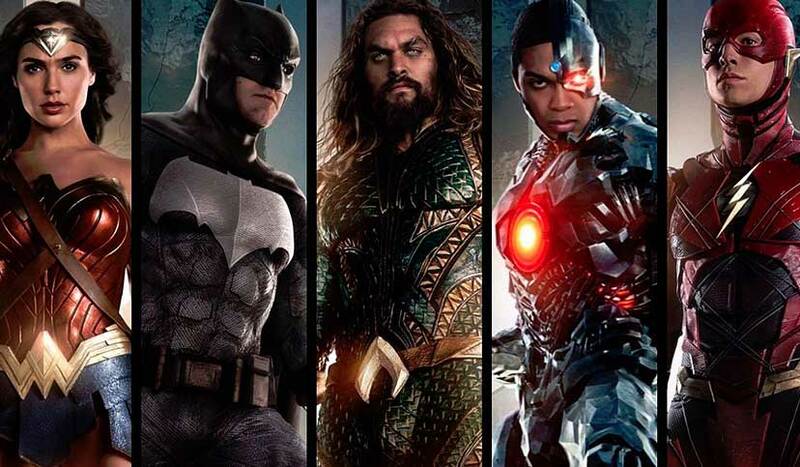 Warner Bros. and DC Entertainment have announced Justice League will finally arrive in 4K Ultra HD Blu-ray, Ultra HD Blu-ray Combo Pack, Blu-Ray 3D Combo Pack, Blu-ray Combo Pack, and DVD on March 13. Fans will also be able to purchase a digital copy of the film one month early, on February 13, but NOT in the UK! Here in the UK we’ll have to wait longer, Justice League will be available on Digital Download on March 12 and on 4K UHD, Blu-ray 3D, Blu-ray and DVD March 26. Journey alongside DC comic creators as they explore over 50 years of the Justice League, from comic books to animated adventures to their cinematic debut. Discover the heart and soul of the Justice League, as the cast shares their admiration for DC’s iconic Trinity: Superman, Wonder Woman and Batman. Join actor Ciarán Hinds and the filmmakers as they reveal the story behind humankind’s ancient enemy and the Justice League’s greatest challenge. Additionally, fans will be able to experience all special features in a new, dynamic, and immersive way on tablets and mobile phones using the Warner Bros. App. Users can synchronize the film on their device's screen while watching the film, allowing them to educate themselves further on any scene. Actor biographies, scene locations, trivia, and image galleries are all available within the app. Even though the film wasn’t what I’d hoped for for all these years, I shall STILL be making a purchase, but unfortunately I think many DC fans will be ‘passing’ on this one!